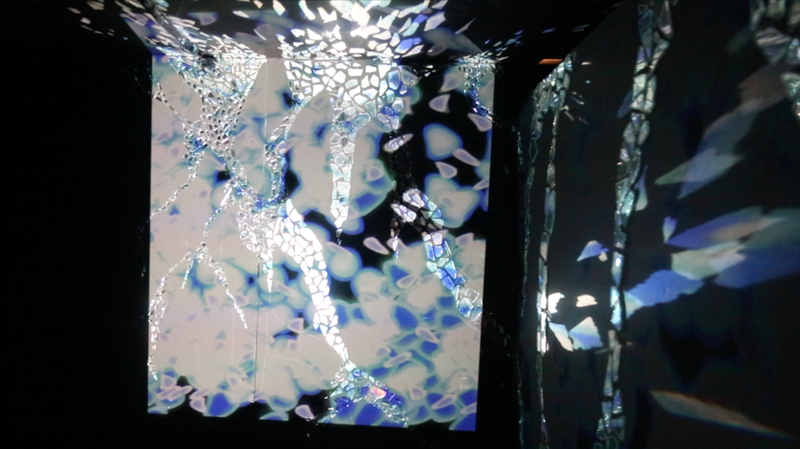 An immersive art installation that uses a combination of digital and physical media to create a sensory experience about cyclic existence and the dynamic underworld. The experience begins when participants approach the Life After space, at the California College of the Arts campus. They see the two signs below hanging above a table with pens and pieces of black paper. Participants wrote memories from their current life on black paper while they waited to begin the experience. Participants could not enter without receiving the black envelope from another participant. These are the spaces that were created in the underground where participants were decomposing. This is the entrance to the underground: a dark corridor leads to a wall of mirrors. A projection in the space allowed light to reflect off the mirrors and created movement. 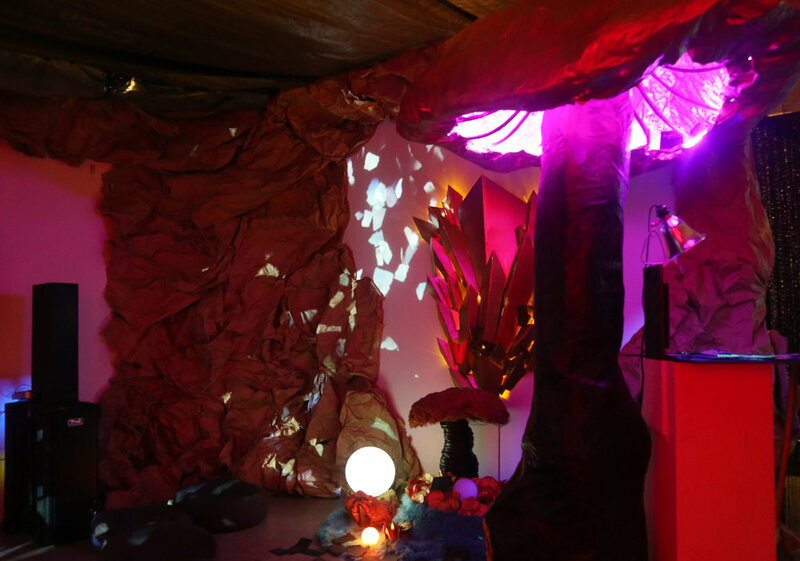 A glowing mushroom structure surrounded by small orbs, smaller mushrooms, crystals, and a video of tunneling underground. Large, physical roots coming out of a cave like wall. A projection on the wall played a looping video of roots generating. A large 3D bug cut into segments and placed on the wall. 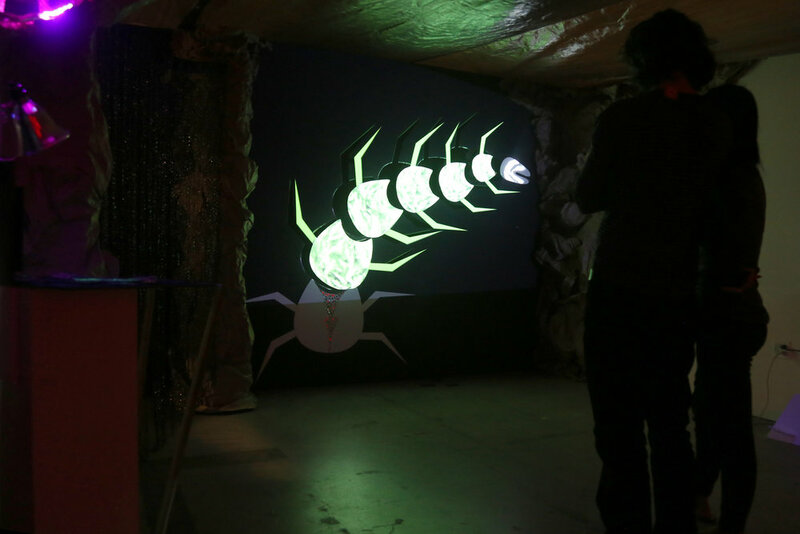 It was illuminated by projections of insects and bugs. As the participants exited the underground, they saw these two signs. 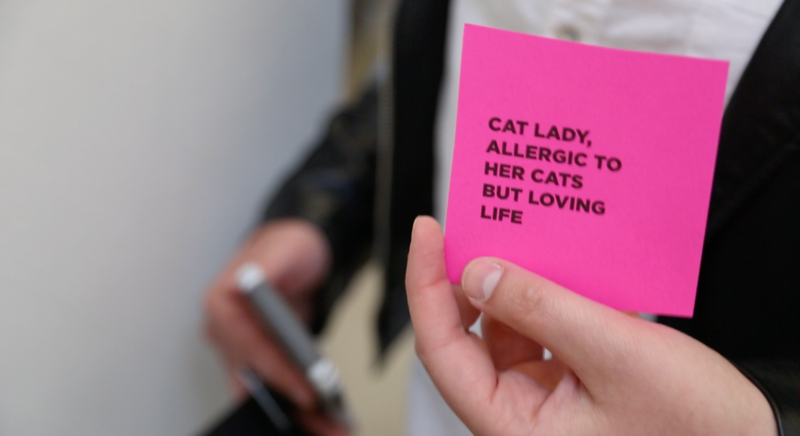 Underneath this sign was a jar of identities that participants picked their new identity out of. Participants had to choose someone to give their black envelope to. 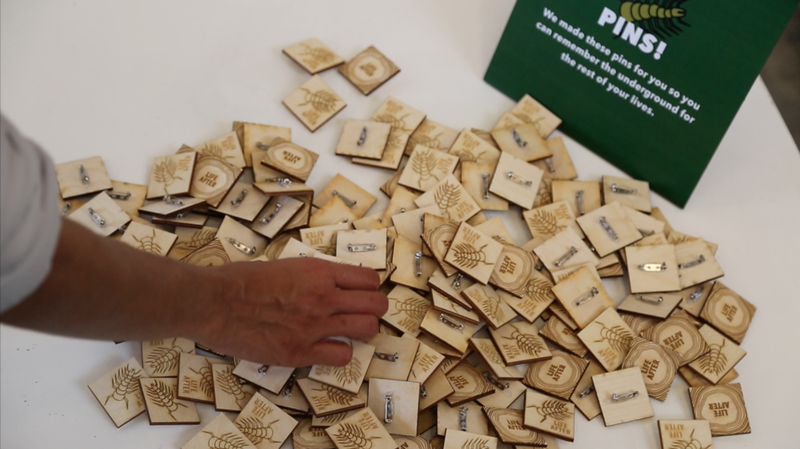 We designed and laser cut a few hundred pins so participants could have a physical object to remember the experience through.